Are you someone who really cares about sewer cleaning? If your sewers are dirtier than ever now and you'd finally like to call in some professional plumbers, trust in the services of Water Heater Cypress. Our local technicians are going to clean up your sewage tanks in no time as long as you trust them. Sewers are the home base of your plumb system. When you flush your toilets, dispose of garbages, or interact with your fixtures in a different way, you’re affecting your sewage. As a result, when you have clogs or leaks that interrupt things, you'll definitely notice some problems with your appliances. 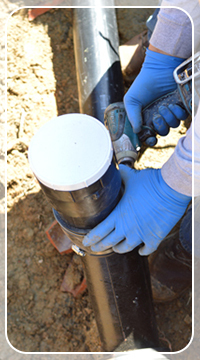 Trenchless pipe repair is somewhat of a lost art form in this business, but our plumbers are still going strong with it. If you’ve got some pipes underneath your home that need to be repaired but you don’t want a messy yard, let us do the trick for you. We can fix up your pipelines without digging into your lawns! Even though sewers are very large and important, you won’t have to use your entire paycheck on getting your clog removed. 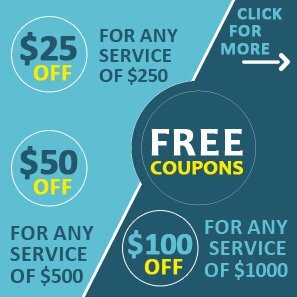 When you come to us, we’ll point you in the direction of our famous and greatest online coupons. These are easily accessible discounts that you can use to score some huge reductions on your billing statement. When you've got our Texas technicians on your side, you will never have to worry about your sewer cleaning or repair. 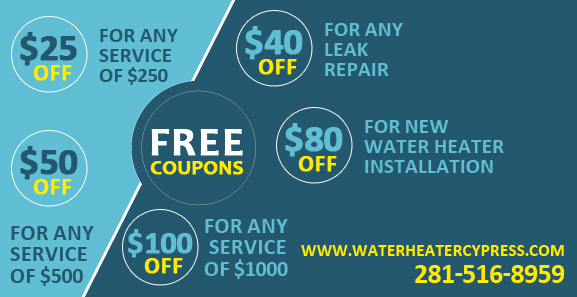 For more information on how Water Heater Cypress can help you get rid of all your problems and conundrums, call us today. With our phone reps standing by, you won’t have to wait long for your next appointment!